Big Data & Data Science Blog: Big Data Spain 2016: Your chance to join the LUCA team? 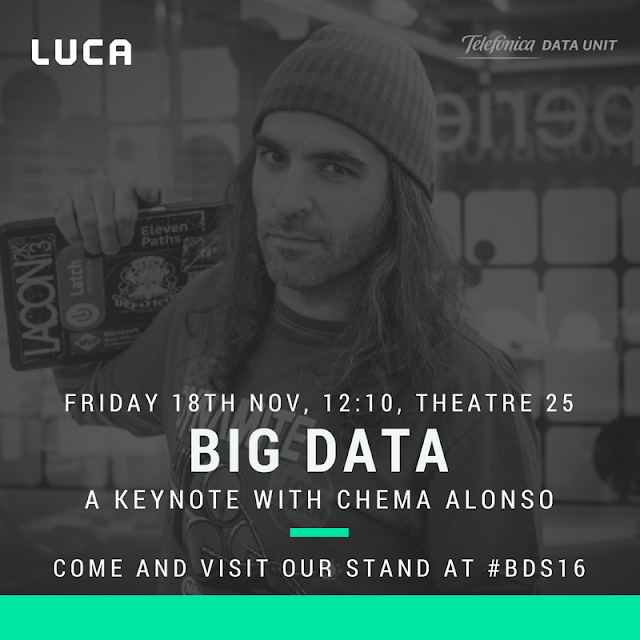 Big Data Spain 2016: Your chance to join the LUCA team? This week on the 17th and 18th of November, Big Data Spain 2016 will be taking place bringing together over 1000 Big Data experts from all over the world to discuss the latest trends and challenges facing the modern organization when it comes to data. The event, which takes place in Kinépolis Madrid (Ciudad de la Imagen), has an exciting line up of tech evangelists and our very own Chief Data Officer, Chema Alonso, will be taking part on Friday 18th at 12:10 in Theatre 25, giving a keynote with his insights on the world of Big Data and Cybersecurity - discussing in detail the enabling technology behind these phenomena. To get an idea of what to expect, check out his keynote at the LUCA launch which took place last month. Of course, to lead the way in Big Data we need to attract top talent. According to a recent survey by CrowdFlower as part of the 2016 Data Science Report, 83% of respondents said there weren't enough Data Scientists to go around, which was 79% higher than the year before. There is a big talent gap at the moment and we are going out of our way to bring the best data professionals to our company by promoting a data culture and strategy within our company. Video: Wondering what to expect at Big Data Spain? Here's the 2014 Intro Video. For this reason, our recruitment team will be attending to engage with the Big Data community and do some talent spotting for both LUCA and the wider Telefónica organization. 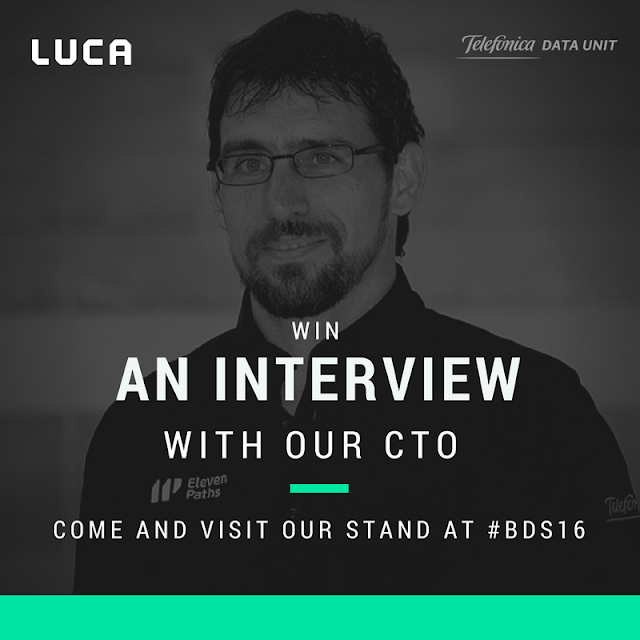 We would love budding Data Scientists and Data Engineers to come along and see us at our stand, and, if you think you've got what it takes, you can take part in our technical challenge for a chance to win a job interview with our CTO, José Palazon. Figure 2: Want to know how to win an interview with our CTO? Come and find out more on our stand. So, what is our technical challenge? In Telefónica, we have to work with a diverse range of data sources on a daily basis. One of these sources is call traffic, and in this task you will need to process a high volume of data to understand what is happening on our network at all times, analyzing aggregated information to estimate the activity per user, as well as combining our cell catalogue information to uncover which areas have greater call traffic. We will have a Jupyter notebook, preconfigured for Python, Scala o even R, with Spark available if would like to use it so that you can show us your skills when it comes to manipulating huge volumes of data. Interested in finding about more about working with us? Then come along to our stand at Big Data Spain 2016 and follow us on Twitter to get the latest news and updates.